Traveling can be hectic in the best of circumstances. Traveling with a child with autism can be even more challenging. Talk to your child’s ABA therapist about your family’s travel plans and ask about strategies for coping with common problems. Many parents find it very helpful to contact the airline ahead of time. Airport personnel have been known to invite families affected by autism to the airport before the trip to practice. Your family may be able to practice going through a security checkpoint, for example, which can help individuals with autism feel less overwhelmed by the process. In the days leading up to the trip, remind your child of what will happen and how your family’s usual routine will change. Safety is a significant concern for families of children with autism. Make sure your child has identification at all times while traveling. Consider using a medical ID bracelet or necklace, and consider installing GPS tracking software on your child’s cellphone. 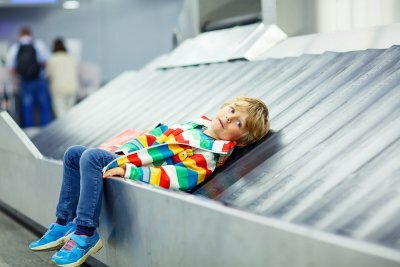 Even if your family was able to do a practice run at the airport before the trip, it may be wise to alert the Security Officer to your child’s needs and limitations before he or she goes through the security checkpoint. Families affected by autism symptoms can find the help they need at The Behavior Exchange. Call (888) 716-8084 to schedule a consultation at our autism treatment center near Plano.